Axl Rose, frontman for the rock group Guns ‘N Roses, has filed a suit against Activison Blizzard, seeking $20 million in damages stemming from their deal surrounding Guitar Hero III: Legends of Rock. The lawsuit states Rose was “fraudulently induced” by Activision, assuring him that no reference to former band member Saul Hudson – aka Slash – or “his subsequent band Velvet Revolver” would be made within the game. Rose would later find “an animated depiction of Slash, with his signature black top hat, long dark curly hair, dark sunglasses and nose-piercing” prominently displayed on the videogame’s box art. 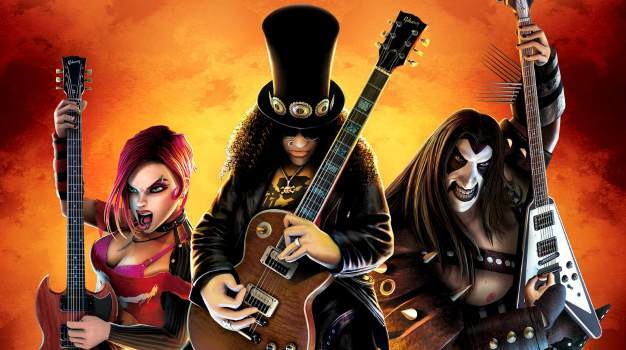 It seems that the company’s inclusion of the band’s hit song ‘Welcome to the Jungle’ was dependent on the absence of Slash from the game, both of which Activision included together.